The faculty student experience is paramount at UW Bothell and due to the nature of being a primarily undergraduate institution, faculty have competing priorities and limited time. 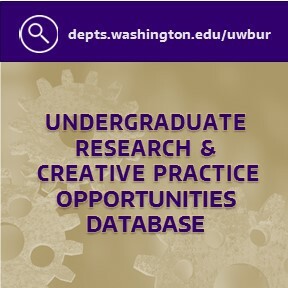 Therefore, UW Bothell’s Office of Research offers support to advance their research agenda and maximize their community impact while creating conditions for faculty student connections. The image of librarians as knowledge holders and of libraries as holders of books is shifting as librarians take on roles as Science, Technology, Engineering, Art, and Math (STEAM) educators with the growing emphasis on STEAM and makerspaces in libraries. Join us in exploring how reimagining partnerships and learning can help us imagine possible futures for libraries and librarians. The Office of Research is implementing processes to help faculty members develop “impact identities”. The generation of their Broader Impact (BI) Legacy narrative involves a reflective process in which each faculty member examines integration of scholarship with societal needs, personal preferences, capacities and skills, and institutional contexts. At the college and institutional levels, impact identities and Broader Impact Legacy work help to develop strategic connections between disciplines and partners. Read more about developing your broader impact legacy. If you are looking for ways to enhance your education, pad your resume, or just be a part of amazing projects, we recommend getting involved with research! Freshman and first-year transfer students are encouraged to get involved the first quarter they arrive. Research can help students develop new skills and passions, lead to awards and scholarships, and improve learning in the classroom. Visit the Undergraduate Research pages. Faculty and Staff Researchers: Post your research online so students can find you any time of the year. Post your research recruiting poster online (the one you use at the Fall Research Fair). Students can search by keywords to find that one unique opportunity they are looking for. Log in with your netID and fill out one form. The UW Bothell Herbarium provides a critical authoritative record of plants occurring in the campus wetland and the greater North Creek Basin. As the vegetation changes through time in the wetland it will form a reliable record to help us and future researchers understand biological and habitat change in one of our regions’ preeminent floodplain restoration projects. In 2016, the Office of Research began supporting the herbarium efforts. By teaming up with the Burke Herbarium (UW Seattle), the collection will be accessible online in late 2017. Please contact Sarah Verlinde (severlin&commat;uw.edu) if you’re interested in donating, volunteering, studying, or taking a tour. The University of Washington Bothell is one of the only universities in the area offering the unique feature of a clean room. A clean room has low levels of environmental pollutants such as dust, airborne microbes, aerosol particles, and chemical vapors - making it vital to manufacturing. At UW Bothell, you'll find many of our electrical engineering undergraduates, graduates, and certificate students in the clean room, learning with hands-on training in a real-world work setting. Go to Microfabrication Cleanroom pages. Check out the Scanning Electron Microscope. View Submitting a Grant text here.